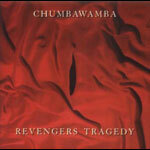 Never ones to rest on their laurels, Chumbawamba have, once again, done something completely different. This is the soundtrack to the Alex Cox film based on the 17C play about social conflict and violence. The soundtrack album is just that, not a compilation of complete songs from the film, but a mix of the incidental music, snippets of dialogue and songs. As a result, it's fairly bitty and changes styles and sounds abruptly. However, one you get used to this, it is well put together and follows a certain logic independent of the film. There is a clear influence from Angelo Badalamenti to be heard, matched with some recognisably Chumbawamba elements and a whole load of quirky electronic sounds. It finishes with two complete songs, the housey 'Ambition' and a reworked acoustic version of 'Don't try this at home' from "Readymades". This won't be for everyone, it's not a proper Chumbawamba album, in fact, it's not even a proper album, but it is interesting and quite enjoyable.